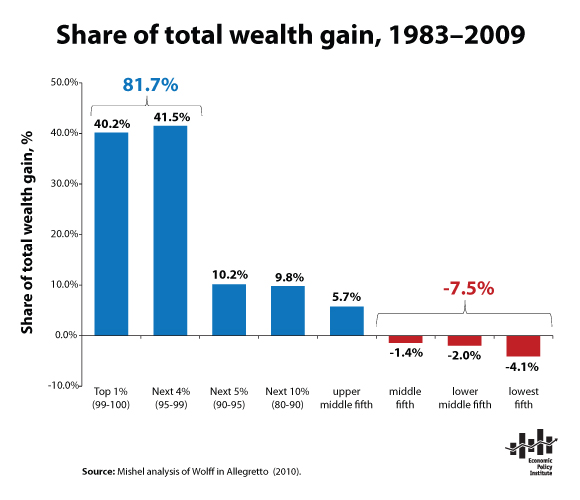 A recent post by Matt Stoller over at Naked Capitalism drew our attention to one of Emmanuel Saez’s recent papers on ‘evolution of top incomes in the United States.’ Under Obama, the top 1% captured 93% of the growth since the recovery began in 2009. As Stoller observes, that’s 28% more than they captured under the 2002-2007 Bush expansion. It is also, on its own, reason to doubt whether it is reasonable to call the recovery anything like a recovery. 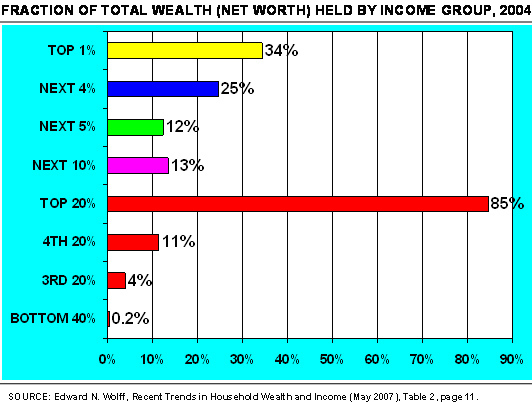 Since 2009, the real incomes of the bottom 99% have grown 0.2%. (Saez does not break the data down any further.) Based on these numbers, the surprise is not the (momentary) phenomenon of Occupy, but that it was so short-lived and not more popular. None of the economic data should be all that surprising since the lion’s share of the ‘recovery’ has been in stock market values and corporate profits (up 70-90% since 2009 Q1, highest since 1950), not employment, wages, and benefits. Stoller explains this shift by Obama’s policy decisions, including his willingness to broker trade deals and stay the hand of regulations that might either impinge on the profits of the wealthy, or strengthen the bargaining power of the poor. And that may be some small piece of the puzzle. Stoller might have added the unwillingness generally among Democrats to venture anything so radical as a public employment plan (public employment has in fact declined), or defend labor rights. But as much as we would like to blame Obama, there must be wider forces at play here, and we don’t just mean Republicans. The growth model itself, based on cheap labor costs, debt-financed consumption, and so-called ‘knowledge’ and ‘creative’ classes is what has stalled. That model, not just the banks, is what got bailed out, but it doesn’t do much of anything for most people. The upper end gets fantastically wealthy, throws crumbs and crust down to the professional classes, and the rest do what they can. Obama has surely done nothing to challenge the foundations of this economy, but then again, nor has anyone else.